It's what we have been waiting for weeks on end. 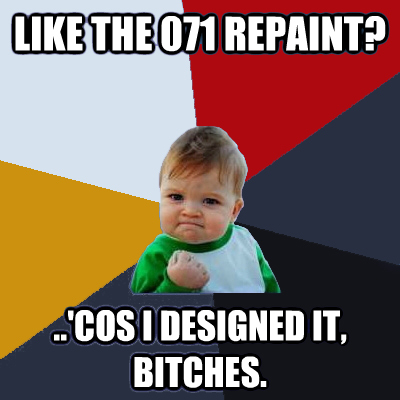 Repainted 077 has been let loose on the network. The loco was trialled at lunchtime today from Inchicore to Sallins and as the trial was successful she was soon pressed into service with a wagon transfer to North Wall. Sometimes you can't get them all so a massive thanks to GM233 and Mr. Church for allowing me to share their photos of the loco trial and wagon transfer to North Wall. Wait for the fun in a few weeks when 071 and 077 are roaming around, trying to figure out which loco is which. That's an eye for detail right there. It has tapered oval buffers on the fan end and standard oval buffers on the other. Wouldn't have spotted that unless I was told to look for it. It's only a matter of time before 071 and 078 will join 077 on the trial run. 077 is supposed to be on taras from tomorrow so plenty of chances to get some more snaps of it for the next week or so seeing as it will be running to times. Just have to get which link it's on. It should get nice and grimy in no time working taras. I'll be checking at Howth Junction from 11:15 tomorrow to see if it turns up but that will only be if it works the empties up tonight. It will probably work the 14:00 ex North Wall empties up and either 072 or 081 will be taken off. Yes! 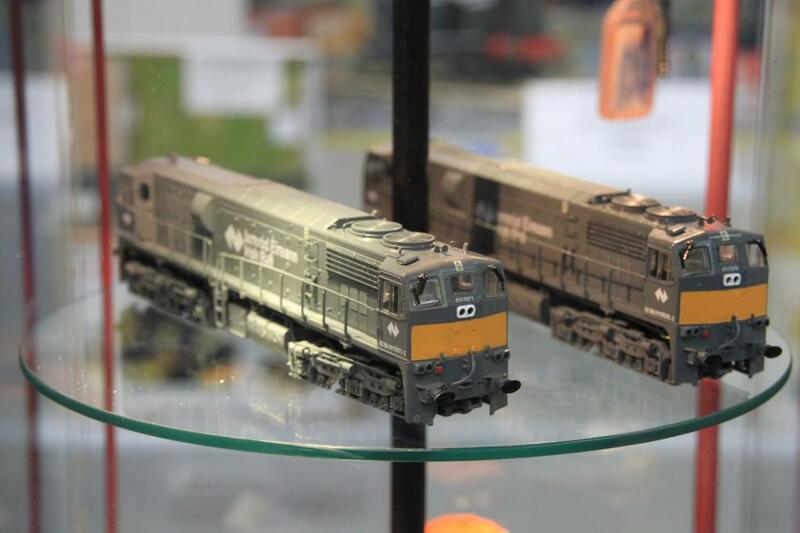 For a minute I thought it was an NIR loco! I think it needs that red stripe from the current livery and red buffer beams to set it off. Maybe even a set of red horns like 112 has and then it will look good. She looks well, wonder if she worked the empties today? I don't think it was on the evening empties, it could be on them leaving North Wall any time between now and the next hour if not it will be tomorrow afternoon. Fair play to ye for getting the photos, severe dedication Wanderer, always impressive. The only severe dedication from me was mobilising and directing the troops , not much I could do today with less than an hours notice. Fair play to one of the guys who dropped what he was doing and was soon on the M7 heading to a rendezvous with history. A rendezvous with history! Very Churchillian! I borrowed and slightly amended a quote from the "future". A surprise treat to anybody who knows where I got it from. Doc, Marty, Jennifer, and the Flux Capacitor? The quote I used is further into the future, within my lifetime (I hope!). Or more "insidious" than either of the above....The Borg. Just noted that 076 is the same too. It has the different buffers on the fan end and the standard ones on the other but it had them even before is was painted into the freight livery. I missed the first laden tara this morning. It was running up to 15 mins early. For the past two weeks it passed Howth Junction between 11:15 and 11:35, today I heard it go by at 11 on the dot. I won't be able to catch any of the other links today to find out where 077 is. the more i see the new livery the more i like it! 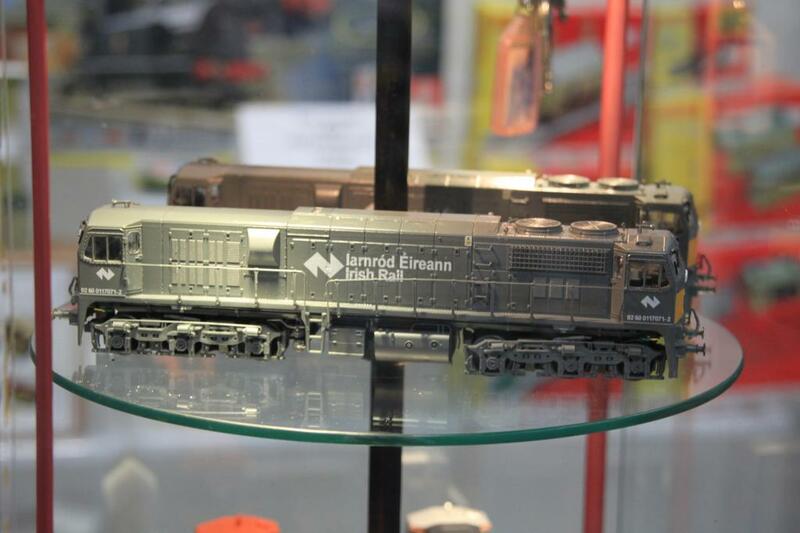 she looks a completely different shade when out in the open compaired to the shot of her in the shop at inchicore. id say Westy will be busy printing decals for 077 and 071. now te question is will paddy murphy bring out that livery? the more i see the new livery the more i like it! It's a bit more than that. The bodywork and cabs have been completely rebuilt to a very high standard. Yes I know I have photo's of her in the shed getting rebuilt. What I'm saying is the cosmetic changes have made a big difference to the over all look of the loco.